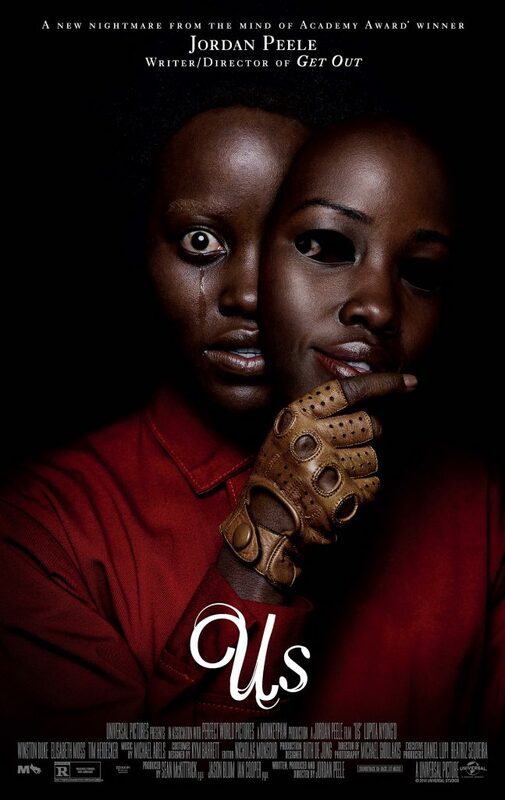 “Us” is an absolutely stellar second film by writer and director extraordinaire Jordan Peele – it’s also 116 minutes of pure terror. Those expecting “Us” to follow in the footsteps of Peele’s Oscar-winning debut, “Get Out,” may be bitterly disappointed. While both display huge societal implications and are generally thought-provoking, Peele ratcheted up the horror level by at least a factor of ten in his sophomore production. The movie’s antagonists – or protagonists, depending on your point of view – are called the Tethereds, products of a failed government plot to control people above ground using their clones living in tunnels below. The plot centers around the Wilson family, specifically the matriarch, Adelaide. Played by Academy Award-winning Lupita Nyong’o, it initially appears that Adelaide is tormented by a traumatic childhood experience. At a carnival, Adelaide and her Tethered counterpart, Red, had a chance encounter and switched places. To seek revenge for the life that was taken away from her, Red orchestrates a Tethered uprising. Wearing red jumpsuits and armed with golden scissors, the Tethered emerge from beneath the surface and start a killing spree. The rest of the movie follows the Wilson family’s efforts to stay alive. Overall, “Us” is beautifully cinematic from its creepy beginning to its creepier end. Even more so than “Get Out,” “Us” is jammed full of symbolism and symmetry. Rabbits appear in different places consistently through the film. They serve as the food source for the Tethered, but also represent a duality for Peele. Besides being both cute and terrifying, the ears of rabbits resemble scissors, which also represent a duality. Physically, they are comprised of two symmetric components, but the duality extends to function. Scissors are a common household item but have a sinister alternative use as the weapon of choice for Red and the other Tethereds, as they seek to literally cut ties and replace their above-ground clones. Some critics have called “Us” a disappointment in comparison to the brilliance that was “Get Out,” but while it may have a less dramatic social impact, “Us” is still incredibly meaningful. It appears that the tethered have no souls, but I think they are really meant to stand for marginalized members of our own society. Before Adelaide switched places with Red, she was trapped underground, forced to survive on raw rabbit meat. Her ability to thrive above ground shows that even the most forgotten can achieve success when they have access to the same opportunities. “Us” is also enhanced by the exquisite performances of Lupita Nyong’o, as well as Elisabeth Moss, who portrays Adelaide’s family friend and suffers a traumatic death at the hands of her other self. However, the biggest reason to see “Us” is the shocking but meaningful ending. “The protagonist in the movie is the surrogate for the audience, so it felt like at the end of the day, I wasn’t doing my core theme any justice if I wasn’t revealing that we have been the bad guy in this movie,” Peele said. On the whole, “Us” is incomparable to “Get Out” but deserves its score of 94 percent on Rotten Tomatoes. The cinematography, symbolism and acting are all worth watching.